The SC Geodetic Survey (SCGS) has combined the technologies of the GPS, GLONASS, cellular communications and high-speed server networks to provide centimeter-level accuracy in real-time for surveying, mapping, and engineering applications. Named the SC Virtual Reference Station (VRS*) Network, the system is composed of 45 global navigation satellite system (GNSS) receivers installed statewide and connected by high-speed Internet to servers in the state capital, Columbia. Users connect in the field via cellular digital data communications to access the servers and obtain near real-time custom corrections to position objects or automate vehicle operations. 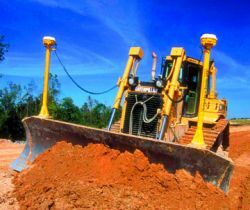 The South Carolina Department of Transportation has partnered with the SCGS with the intention of using the VRS for machine control to automate highway construction. South Carolina is the only state in the nation to use this technology to include the Russian GLONASS satellites as well as GPS satellites for a more robust solution. Important to the implementation of the VRS is the provision of a common and consistent connection to the North American Datum NAD83 (2007) via the South Carolina State Plane Coordinate System. All coordinates produced through the use of VRS can be directly tied to NAD83 (2007). Surveyors and engineers will no longer need to be concerned about datum issues and coordinate conversions. This article will describe how SCGS, which operates within the state Budget & Control Board’s Office of Research and Statistics, designed, implemented, tested, and operates the GNSS VRS network today.